Can’t decide between wire-gate or key-lock closure? The patented KeyWire design is the best of both worlds. CAMP combined the benefits of a smooth-action wire gate with the safety of a keylock nose. They also used a curved I-Beam construction to make it light and strong, even if the gate is open. 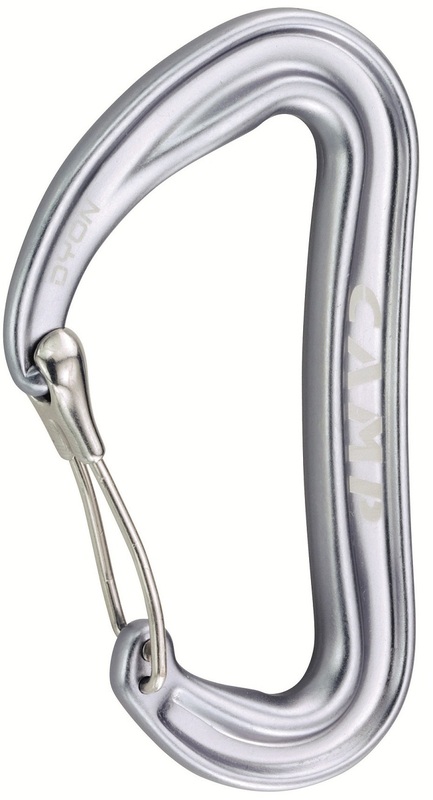 A SphereLock key closure minimizes play for maximum safety and performance. 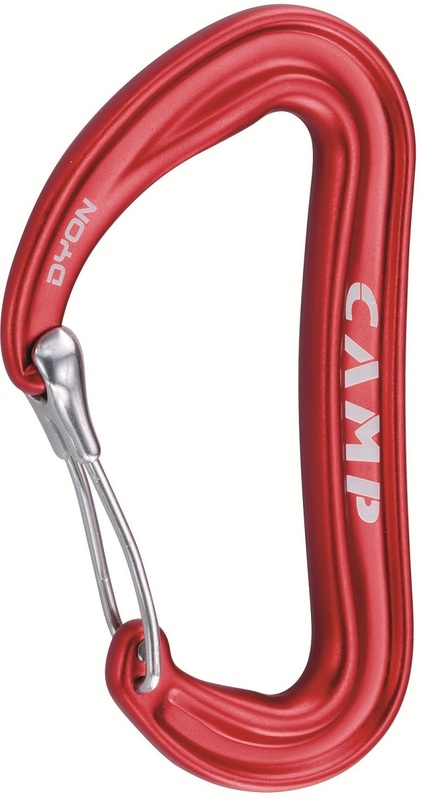 Best of all, the CAMP Dyon carabiner is available in as many colors as your cams. 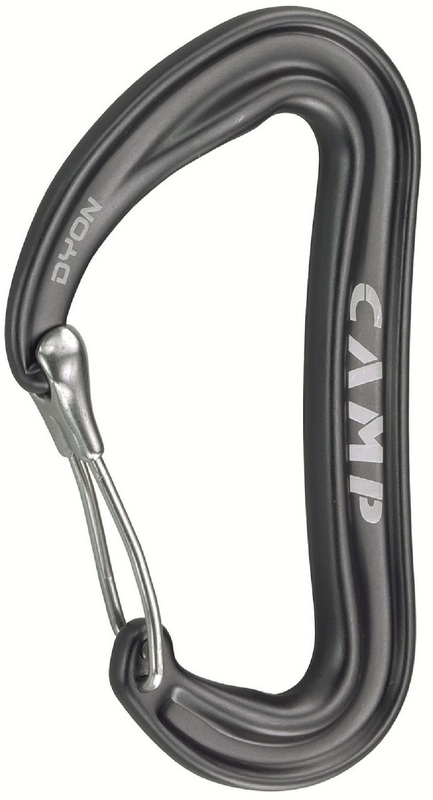 Strong 7075 Aluminum construction reduces weight, yet still weighs just 33 grams (1.2 ounces). 26mm mouth is very usable with the smooth action. KeyWire gate improves redundancy and safety. Curved I-Beam shape maximizes rigidity and stiffness under load. Notes KeyWire gate closure minimizes snags of a traditional keylocking gate, but also provides the same light action of a wire gate. Bottom Line Bridging the strength, weight, and simplicity gap between a wire gate and locking gate carabiner.